In this letter Hamilton Holt tells Martha Berry that Dr. Robert Bartlett is still being considered for Dean of Chapel at Rollins College. 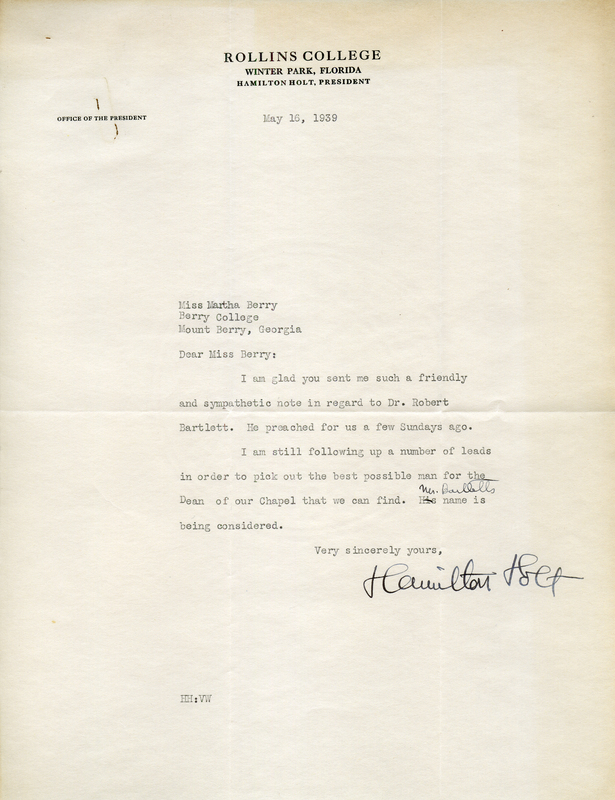 Hamilton Holt, “Letter to Martha Berry from Hamilton Holt.” Martha Berry Digital Archive. Eds. Schlitz, Stephanie A., Jordan Brannen, Jessica Hornbuckle, et al. Mount Berry: Berry College, 2016. accessed April 21, 2019, https://mbda.berry.edu/items/show/15246.